WeFunder has held the lead for the top crowdfunding site positions for tech startups, 2 years in a row. They host some of the biggest names in startup investing, including: Fred Wilson, Eric Baley, & Jeff Bussgang. Now here was something I found that was cool. For those of you that actually have a solid revenue plan….Upstart’s investors invest in exchange for a share in your future sales. The latest startup being funded? A cyber security startup. Crowdfunder has a rapidly growing base of engaged investors as well. Alright, maybe you’re not a startup reading this. Maybe you’re an investor reading this. And…you’re not as big as Fred Wilson over there at WeFunder. You’re interested in startups, but not yet ready to strike out on your own. Then head over to MicroVentures, where you can get hand held by more experienced investors in backed startups. 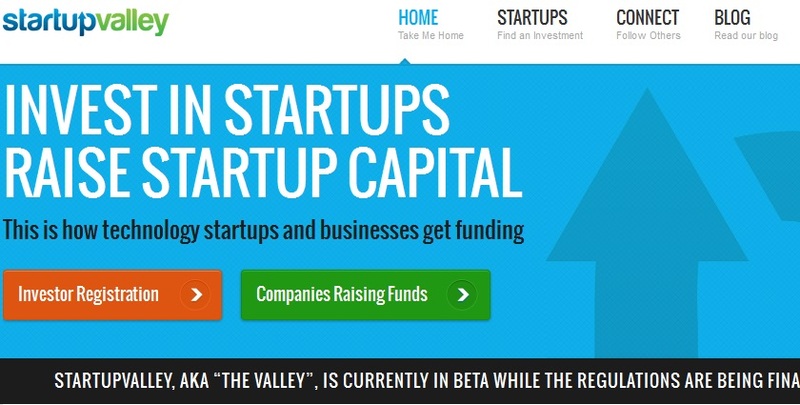 Startup valley is an equity crowdfunding platform currently in beta awaiting the SEC ruling. You can signup now for early access.